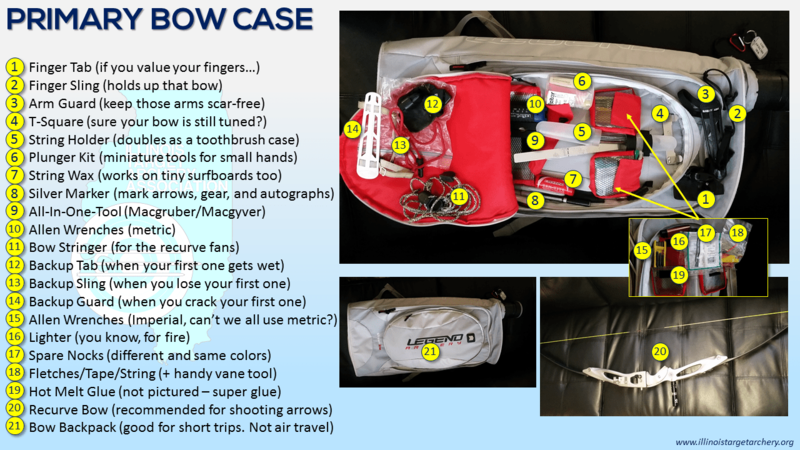 Inspired by Gabe Querol’s post about what supplies he brings with him to tournaments, and in the style of Every Day Carry, we’re embarking on a series of photo articles showing what ITAA members bring with them to the archery range — either in their quivers, cases, pockets, etc. 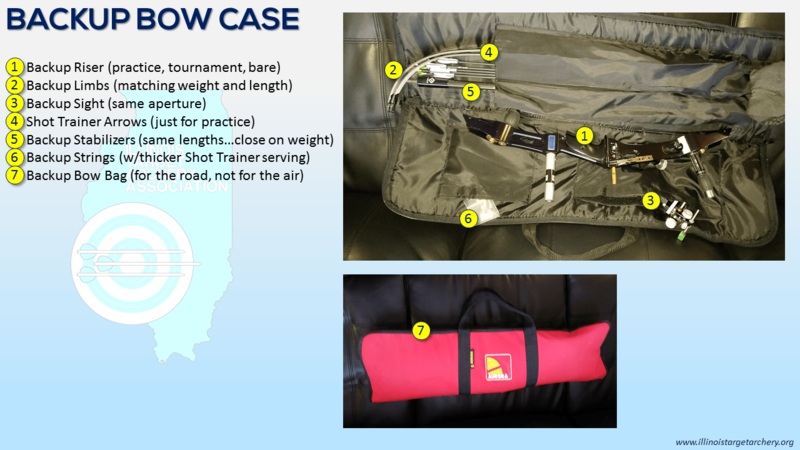 The purpose of this series is to inform folks about what is hiding in the cases and “bowpacks” that show up at tournaments, and to inspire us all to inventory our own kits to add tools and spare equipment that can save us headaches during a big day. 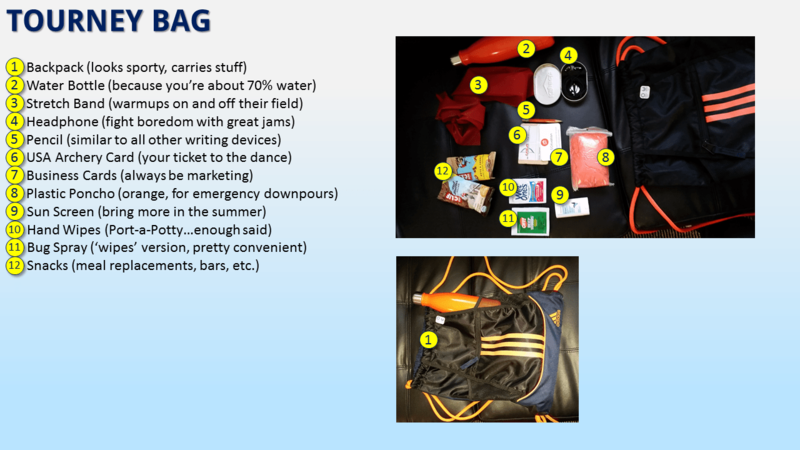 I’ll admit that since starting this project I’ve already started adding some much-needed backup supplies to my bag, that I’ve been blissfully putting off for a while. First up is Dennis Timpanaro. Dennis is the ITAA Vice-President and Chief Awesomeness Officer. He is frequently to be found practicing his 70m recurve form, and finding innovative ways to motivate others to achieve their goals. 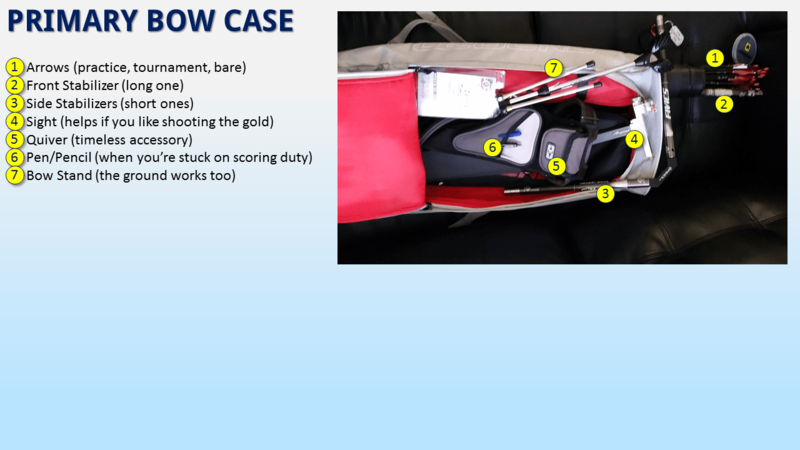 As our intrepid Athlete Spotlight reporter, we’ve turned the tables to make him the subject of this series of articles.